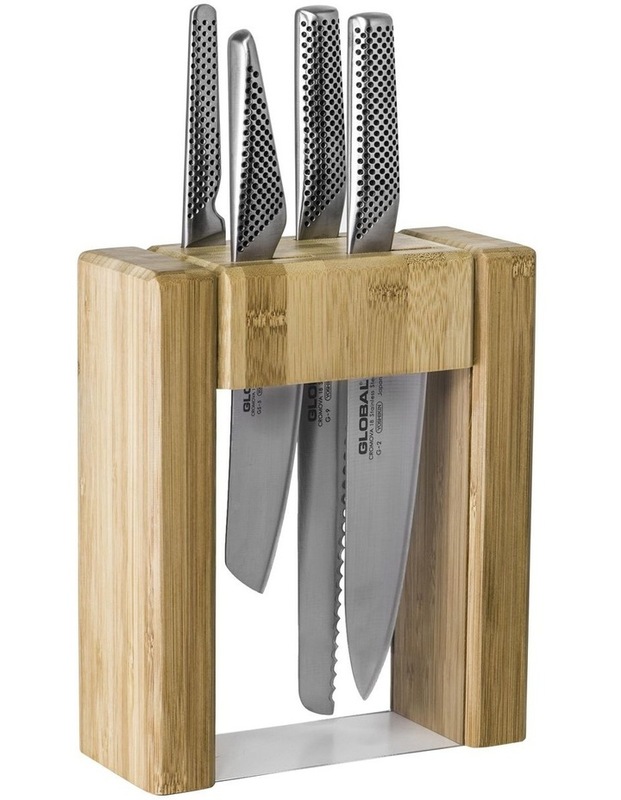 The Global Teikoku 5 Piece Knife Block Set includes all the essential knives a busy kitchen needs to prepare meals day to day. Each knife in the Kizoku block has been made in Japan from the finest quality stainless steel, featuring exceptional balance and brilliant edge retention. The blades have been ice tempered and hardened to withstand the rigours of professional and domestic use and to ensure the longevity of the razor sharp, resilient edges. The set includes an 11cm utility knife, 14cm vegetable knife, 20cm cooks knife and 22cm bread knife housed in a contemporary bamboo block with a stylish clear base. The clear base allows you to identify the knives by their blades at a quick glance, so you never have to rifle through them to find the right one.